With the departure of wide receivers James Quick and Jamari Staples, football’s searched for a speed position this off season. The two seniors combined for 1,384 yards and eight touchdowns on 81 receptions in 2016. To remedy the situation, coach Bobby Petrino did not have to look far for a solution. In fact, all he had to do was look at the cornerbacks on the defense. More specifically, Cornelius Sturghill. 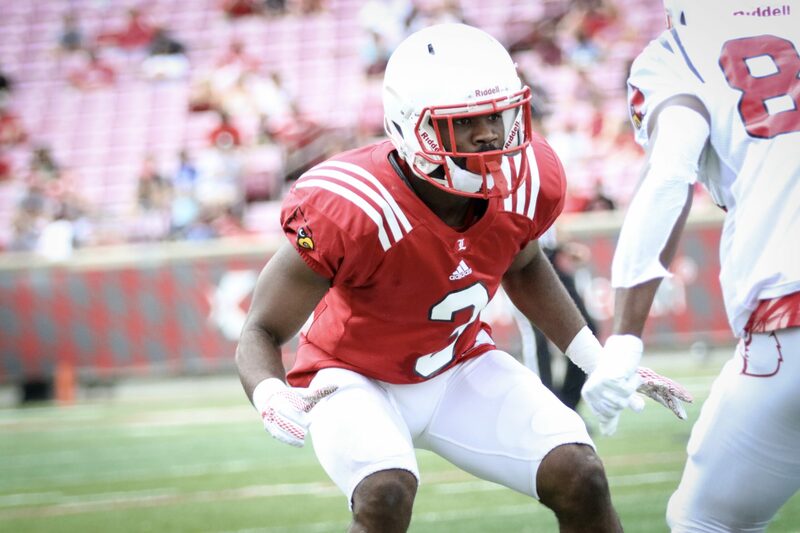 With Trumaine Washington and Ronald Walker battling for the second spot and freshman Russ Yeast providing depth, Petrino pulled the trigger. With the switch, the offense gets a jolt of speed. While some players may not appreciate being moved to a different position in the middle of their playing career, it is hard to imagine the new wide receiver not being open to this transition. After all, U of L recruited him out of high school as a wide receiver. Sturghill recorded 51 receptions for 961 yards and 16 touchdowns as a senior while playing for Melrose High School in Memphis. He eventually signed with the Cards on national signing day, after flipping his commitment from Wisconsin to Louisville. The Memphis-native has proven he has the speed to blow past defenders. In 2016, he ran a 4.20 second 40-yard dash, the fastest times on the team. While he has displayed impressive speed, he was unable to show it out on the field last season, as he was shot in the foot during a drive-by shooting in his hometown before the 2016 season began. While overcoming and returning from any injury is always a physically and mentally demanding job, Sturghill has shown positive signs in his recovery. Less than a year after the shooting, he came back and ran a 4.38 second 40-yard dash. In an act of precaution, the red shirt junior says he coasted the last half of the dash to avoid a re-injury. Petrino expressed optimism in moving Sturghill over to the receiving unit of the team. You can follow Micah Brown on Twitter @micah_brown74.